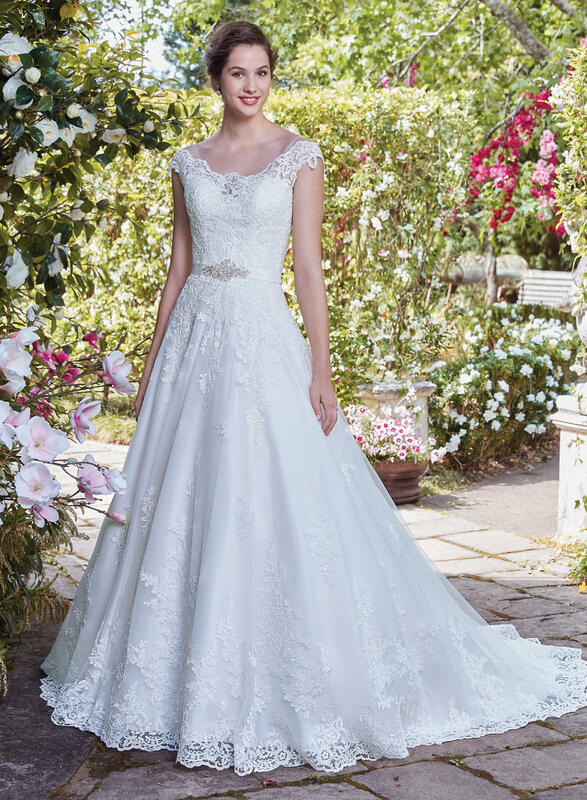 Lace appliqu�s cascade over tulle in this classic and demure ballgown, featuring an illusion off-the-shoulder neckline, accented in lace appliqu�s with alluring keyhole back. Complete with covered buttons over zipper closure. Unembellished grosgrain belt included. Detachable beaded belt on grosgrain ribbon sold separately.